Completing your tile or woodwork measurements accurately can sometimes be frustrating. Those awkward sizes and shapes can be quite tricky. You are likely to spend a lot of time figuring out how to cut it accurately. Worst case is you might just waste a few pieces with incorrect measurements. 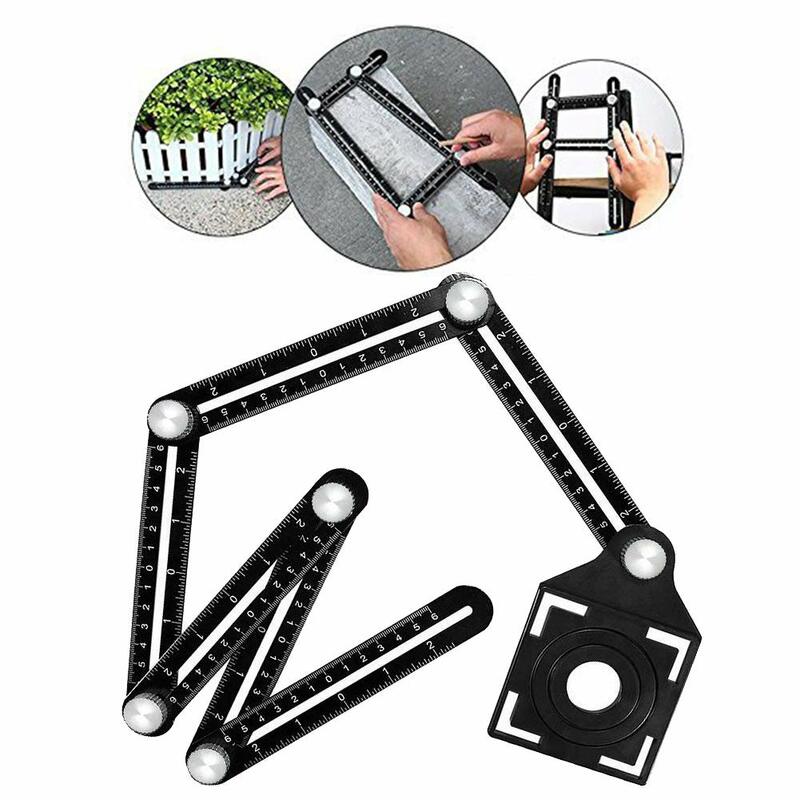 This Upgrade Multi-function Angle Ruler Template Measure Tool is an upgraded version with more features. It is a measuring tool and tile positioning hole opener. Our newly upgraded universal angle ruler has a six-piece ruler and six metal knobs that fold freely. Simply adjust the six metal knobs to precisely create the shape you want. Measuring objects of different shapes is quick and easy. 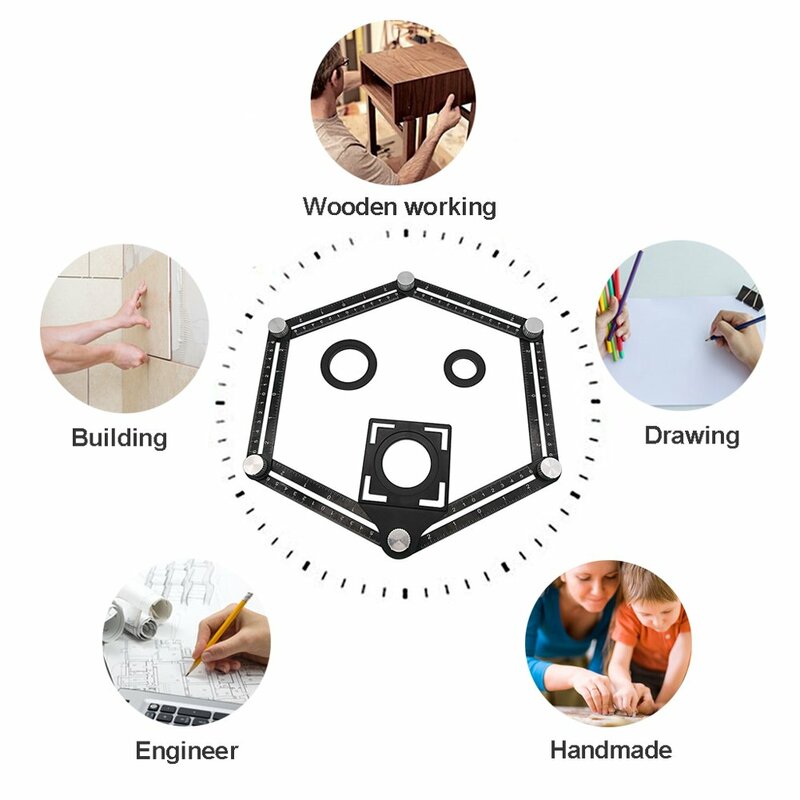 First,placing the tool onto any surface and adjust the six rulers into your desired shape. Next,tighten the high-grade metal screws to secure your angle and use this desired angle as a reusable stencil for endless applications. Finally,once completed with your project, loosen the screws and put the ruler into your toolbox. Step up your crafting and home improvement projects with this Multi-function Angle Ruler and be on your way to great looking results and an easier workflow.